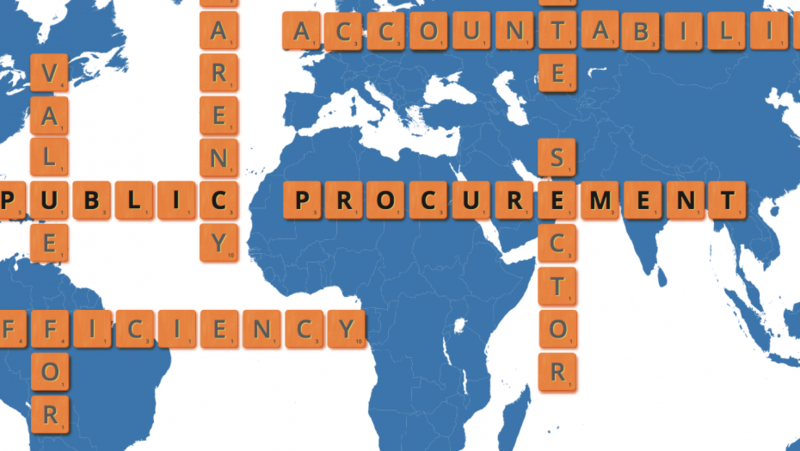 Benchmarking public procurement: What did we learn about open contracting? Openness and transparency are among the most critical factors influencing the efficiency of public procurement. The Benchmarking Public Procurement 2016 Report, a new annual World Bank Group publication, provides assessments of the public procurement systems in 77 countries on whether they are designed following an approach that promotes open contracting, with norms and rules that encourage greater contract disclosure and increased participation of different stakeholders in the public procurement processes. Transparent processes, easy access to information, and open procurement markets drive down costs, improve quality and provide better value for money. They also lower the risk that any party will be improperly advantaged due to flaws in the system. When it is difficult or costly to obtain information on the government’s needs – technical specifications and processes for submitting and evaluating bids– the procurement system becomes inefficient, transaction costs rise, and potential bidders may be excluded from participating. Designing public procurement laws that promote transparency and reduce the opportunity for opaque decisions is thus important to ensure every business gets a chance at a fair competition. A failure to do so will impair economic development in the single most important marketplace in developed and developing countries. To what extent can suppliers in Brazil access information on electronic procurement portals? How are bids evaluated and contracts awarded in South Africa? Can bidders ask for clarification on tender documents to the procuring entity in Bosnia and Herzegovina? Are decisions over bidders’ complaints publicly accessible in Botswana? An assessment of disclosure during the procurement process in the 77 countries shows that overall three out of four countries do have enough transparency regulation in place that would allow for open contracting to take hold. A vast majority of the surveyed countries allow for participation of bidders in the bid evaluation and about half of the countries (35) open the bid evaluation to the public. This is critical as the participation of the bidders to the bid evaluation session is a way to ensure the transparency of the competitive bidding system. However, this still means there is a fair amount of countries where opacity is the norm, especially when it comes to the engagement and communication around the bidding process. Overall Algeria, Malaysia and Namibia are the least transparent in their public procurement. 12 countries do not have a legal requirement to record the bid opening session. Only 10 countries do not require the criteria and method of assessing the bids to be disclosed in the tender notice and the tender documents (among which Algeria, Malaysia and Namibia). Only 8 countries do not require to disclose the award notice and 5 of them do not, in practice, publish the notice. In 6 countries where the award notice should be published, such publication is not accessible online. Also, in 21 countries, there is no legal obligation to notify the award of the contract to the unsuccessful bidders in person. In 26 countries, there is no possibility for unsuccessful bidders to request feedback on the reasons why they did not win the tender. The bid evaluation process in Namibia is a good example for an opaque process: There is no requirement to record the bid opening session; the criteria and method of assessing the bids are not required to be disclosed in the tender notice or documents; and the evaluation of bids is left at the discretion of the procuring entity. Furthermore, there is no requirement to publish the award notice. The Benchmarking Public Procurement initiative is currently scaling up to 189 countries with a new report to be published in the Fall of 2016. We hope that this look at key openness and transparency clauses in helps support the ideal of an accessible, transparent, and inclusive procurement process that paths the way for more open contracting worldwide.